Big Pigs are great for indoor and outdoor play! These fabulous swines can hit all the pig poses that their little pig dice cousins do. 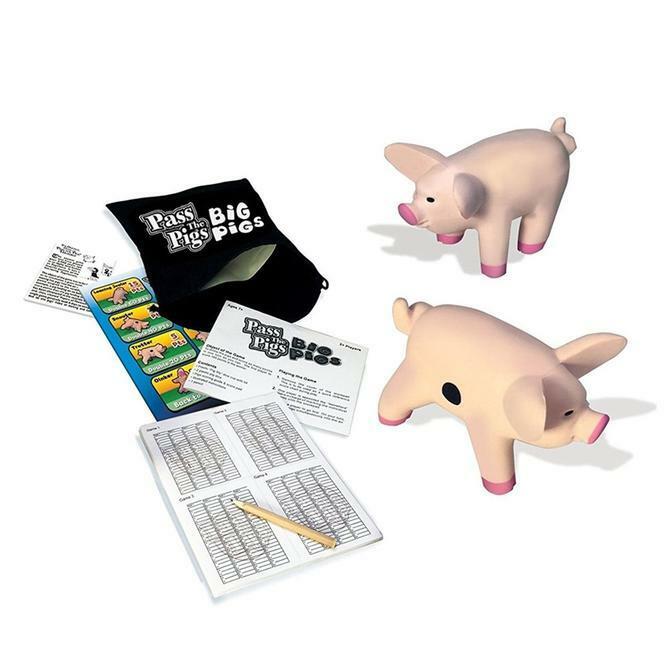 Pack the pigs, pencil and over sized score pad in the handy drawstring Pig Pouch and you're ready to go!